Very good condition showing signs of age overall a beautiful form and rich glaze. Would make a wonderful addition to your collection. 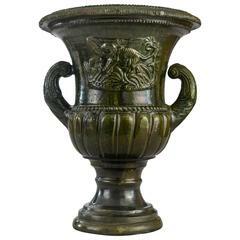 Beautifully patinated and a fine cast of substantial weight. Banded with an openwork frieze and a liner. 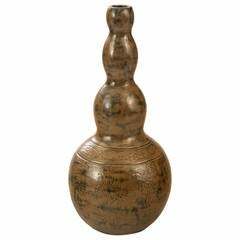 A very good Japanese bronze vase. 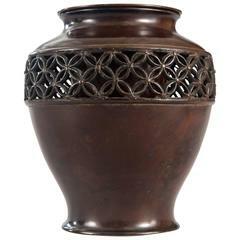 Set of two elegant large (14 in) bronze Japanese vases with beautiful detailed decorations. Japan Meiji period, end of the 19th century. 12 lbs / 5.5 kg each. Bizen Ware is pottery and tunnel kiln made in Bizen area, Japan. The kiln is one of the six ancient Kilns in Japan. 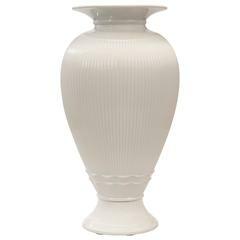 It is characterized by manufacturing method unglazed.